This low, round children's activity table doubles as a whiteboard for children to write and draw on while they interact socially. This kids' furniture is perfect for preschool classrooms and daycare centers, but it can also be used in a playroom at home. 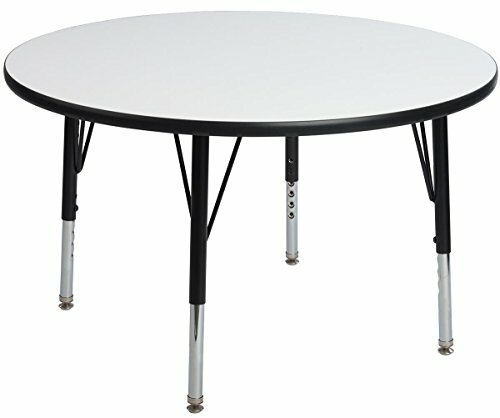 This furniture adapts to growing tots - just adjust the legs up to 24"h.
36"d Childrens dry erase tables stand up to hard-playing tots!